Product information "Beck's Pils 5 liter tin Party 4.9% vol"
Unique Pils premium class: sovereign, self-confident, cosmopolitan. 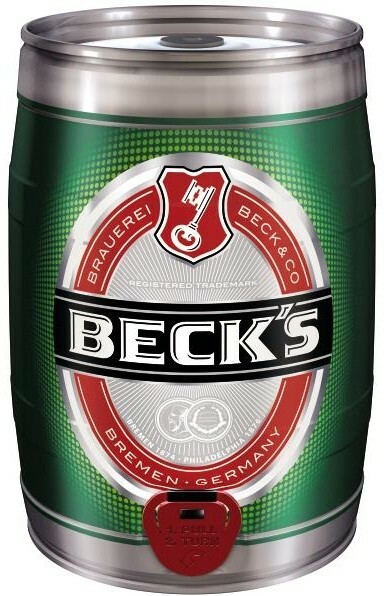 Beer connoisseurs around the world recognize their Beck's it immediately to its pure freshness and the characteristic bitter note. Related links to "Beck's Pils 5 liter tin Party 4.9% vol"
comment "Beck's Pils 5 liter tin Party 4.9% vol"
Customer evaluation for "Beck's Pils 5 liter tin Party 4.9% vol"